While I grew up in a tiny town in Northern NSW and came from a farming background, it wasn’t until I finished my schooling in Brisbane that I first heard about Agricultural Engineering. 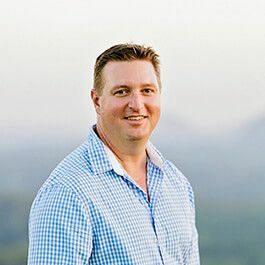 I completed my undergraduate degree with honours at the University of Southern Queensland, and have spent the last 16 years conducting and leading research in the areas of farming technology, grain storage, precision farming, engine technology, harvesting, seeding and spraying equipment. I also deliver grain storage extension work for the GRDC, with extension information for farmers and the grains industry on retaining grain quality in storage. I’m based in Perth, but regularly travel across Western Australia and the rest of the country. One thing I love about my job is the variety; there is always something different to research and write about, especially with huge innovations in new equipment, technology and machinery. Working with farmers means I am always surrounded by great people, who are always generous with their time and appreciate of the time you give them, which is incredibly rewarding.